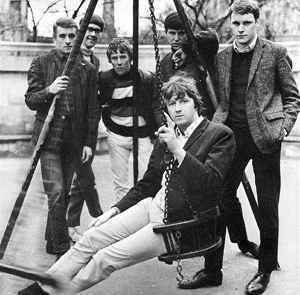 British beat combo founded in Weybridge, Surrey in 1962. They were part of the wave of British bands to play in Hamburg, Germany, before going on to have a level of success in the United States. They were one of the first groups, along with The Spencer Davis Group, to be invited to play in Hungary in 1967 and have a very big and loyal fanbase there up to this day. On the departure of Arthur Sharp in 1972, Ray Phillips (2) was left as the only remaining original member. They disbanded in 1973, but were reformed by Phillips in 1980. Between 1973 and 1980 Ray Philips toured Hungary with several line ups under the guise of The Nashville Teens.